Schools, Churches & Organizations etc. 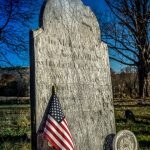 The Ancram Freeground Cemetery, sometimes referred to on maps and the internet as the Ancram Old Cemetery, was established at the very end of the 18th Century. 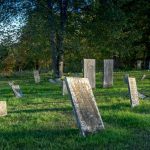 Because the cemetery was created before the 1803 incorporation of the town of Ancram, there are no town records of its establishment but it is widely believed that the one acre plot that comprises the cemetery was donated by the Livingston family. The Livingston’s settled in the area in the late 17th century and received a royal charter land grant from King George I in 1715 for 250 square miles of land. 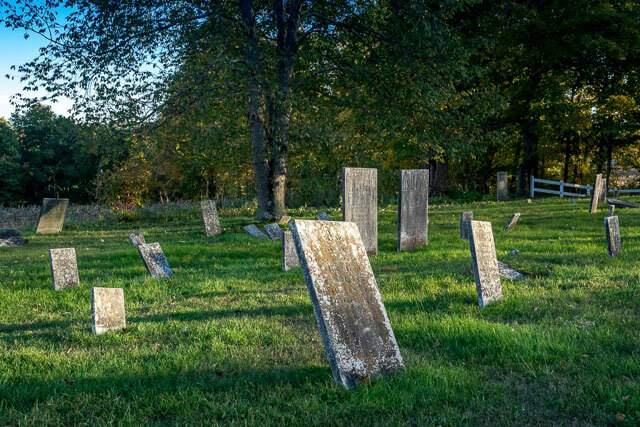 Most of that land, known then as Livingston Manor, is now Columbia County.The cemetery came to be called the Freeground Cemetery because initially the burial plots were free. 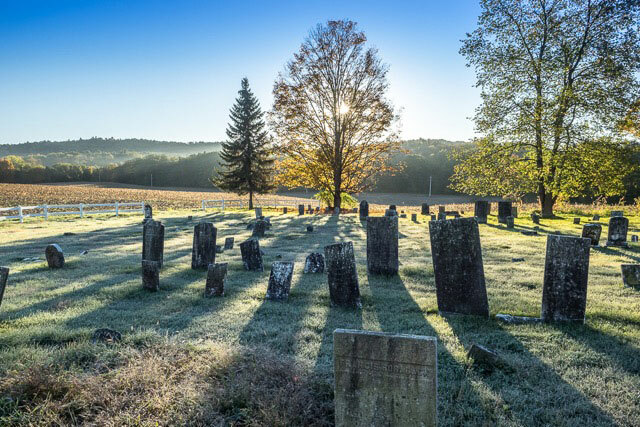 Like today, Ancram was mostly an agricultural community in the 19th Century so a good many landowners would have been buried on their property and not in a community cemetery. 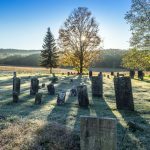 Although the first two burials were in 1796 and 1798 , Freeground is essentially a 19th Century cemetery with 168 burials during the 1800s. There were two burials in the 20th Century: 1917 and 1925. 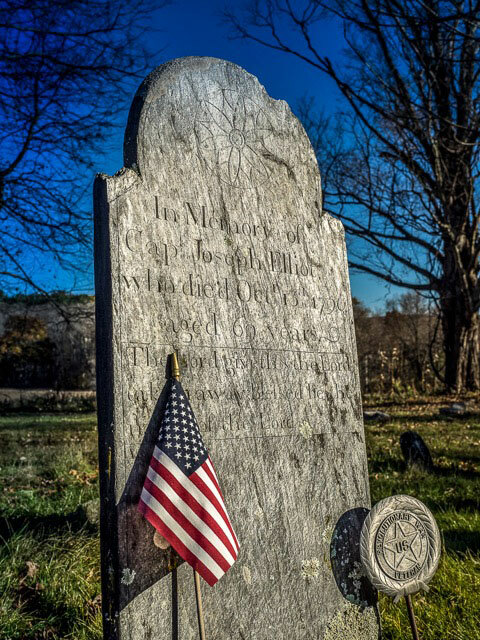 The Freeground Cemetery is located about 1/2 mile southwest of the Ancram hamlet center on the south side of Route 7. Below is a complete list of all 172 burials in alphabetical order. The Town of Ancram has made every effort to ensure that information posted to this website is correct at the time of posting. However, meeting dates, times and places are always subject to change; it is recommended that you contact a local official or the representative of an event posted, for confirmation before attending. Content of this website, although checked for accuracy, is not warranted to be error-free. The Town of Ancram provides links to web sites as a convenience to users and makes no representation concerning these web sites and does not assume any responsibility for their content.